The ways people seek and consume information continues to change. This is even truer when it comes to learning and training. The classroom has gone virtual. Our sources are wikis, blogs and videos, not just instructors. We learn on our laptops, smart phones and tablets, with information that hasn’t had the time or reason to get into a book. Companies don’t just need traditional training courses anymore, they need flexible, modular, multi-channel content. When it comes to e-learning, companies are seeking tailor-made solutions for each unique business problem. Not every user needs to learn every feature in every learning module. Instead, learners expect to have the option of receiving formal education based on their individual needs, knowledge and via their preferred delivery channel. SAP anticipated this learner-demand revolution 10 years ago when they shifted to an XML-based content development infrastructure. SAP is one of the world leaders in enterprise IT and its Education division is the international leader in the IT training market. SAP trains more than 300,000 learners each year with global consistency and quality across 40 countries. Despite the significant efficiencies gained with XML, in 2009 SAP needed new tools powerful and elegant enough to manage the transformation of roughly 200 traditional education courses into almost 20,000 different, smaller ‘chunks’ of dynamic learning content that can be used and delivered in all kinds of new learning formats, in nine different languages, and customizable to any customer. To meet this challenge, SAP first chose to evolve from a proprietary XML format to the DITA open standard. As an XML standard, DITA allows users to separate content from format, for easy application and reuse in a variety of contexts, from training manuals to virtual classes to case studies and more. DITA goes further, separating content from structure, as well. By establishing a simple and structured way of writing and organizing information elements, text and meta-data, DITA can facilitate minimalistic writing and create efficiencies in production times. Plus, the quality of writing tends to improve, as DITA encourages writers to think carefully and clearly about the structure, meaning, and learn-ability of their content. For SAP it became clear that DITA would continue to be not just the standard, but the reference for efficient content management and production. But DITA is only as good as the software that employs it: SAP chose Componize. Componize is a DITA Component Content Management (CCM) System. Componize manages content at the “component” level rather that at the “document” level. CCM Systems are particularly suited to the way we produce and consume content today, that is in small chunks, for online content such as e-learning, websites, online help systems, user manuals, technical documentation, etc. In today’s business environment, enterprise content is only increasing in importance, volume and complexity. Like SAP, you can create, manage, and share enterprise content, all at incredible scale with Componize. Pure DITA. Componize is no nominal DITA system. Componize is the leader in truly native DITA support, which ensures the longevity and flexibility of the system. With Componize, users always work and will always work in native DITA files. Time-saving features. Componize provides SAP users with many time-saving features such as automatic link validation, metadata synchronization and automatic categorization. An SAP Manager in charge of the project noted that, with their move to DITA and Componize, they expect to significantly reduce the time writers spend on preparing documents for production, and focus far more time on content development. In addition, Componize’s own benchmarks have shown that Componize allows for publishing capabilities that are typically between 10 to 15 times faster than traditional pipeline implementations. Scalability. While the project is still in its first phase of implementation, the SAP team looks forward to the benefits. Most importantly, the SAP team is eager to be able to produce more and different kinds of content in more channels to more target groups. With 20,000 chunks of content, used and reused in potentially dozens of contexts, in nine different languages and customizable to thousands of customers’ specifications, the SAP solution for component content management has to be rock solid and designed for efficiency. That’s what Componize is delivering for SAP today. Trusted team. The SAP team puts its trust in the people behind Componize and appreciates the company’s unique philosophy of integrating the product developers with the product support teams. This means that Componize is constantly innovating and improving its offerings with the input, feedback and ideas of its customers. SAP Education is the training department of SAP, the largest enterprise software company in the world, and is a global player too. Leader in the worldwide IT training market, SAP Education trains more than 300,000 learners per year and provides courses in more than 40 countries. Early adopters of XML – they implemented a proprietary semantic XML application for producing learning content 10 years ago – SAP Education has selected Componize for Alfresco to be the heart of a brand new infrastructure based on DITA. Componize for Alfresco will be used for managing multilingual content from several hundred of internal and external contributors spread around the world, allowing content reuse and dynamic publishing, including e-Learning (SCORM) and virtual Training specific outputs. 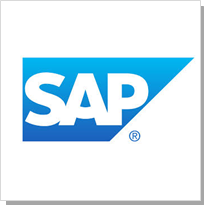 In 2012, SAP published over 60 million pages of content.